Off road parking adjacent to the house. Small, sunny easily maintained garden. Windows: white UPVC double glazed with locking handles. 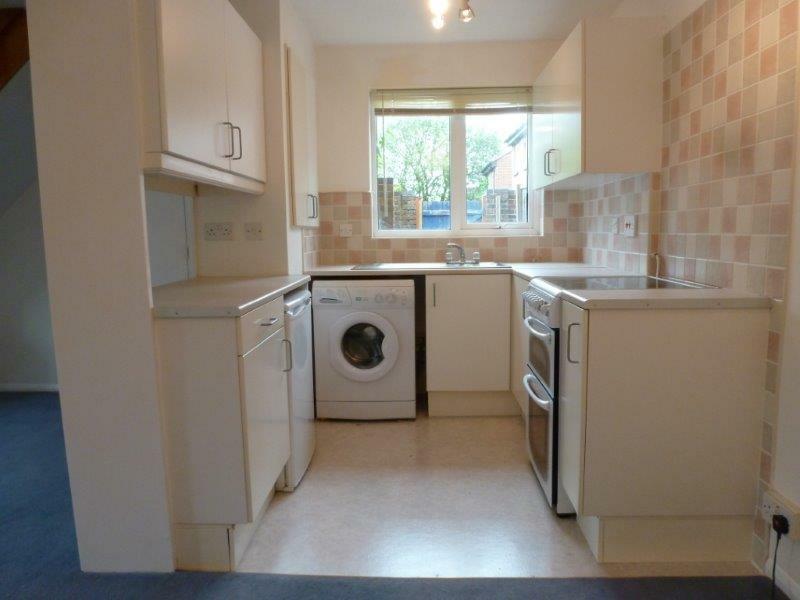 Appliances: oven, washing machine, fridge, freezer, tumble dryer. 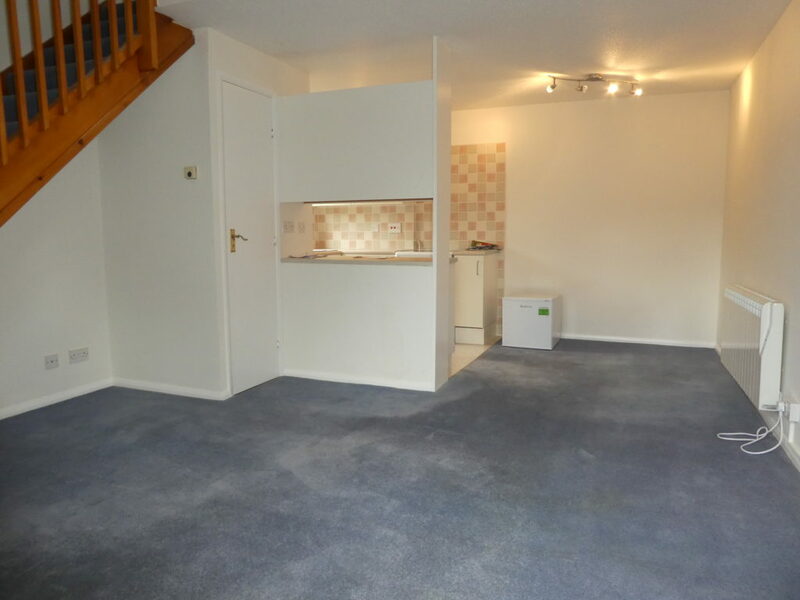 Living Room/Dining Area: 18’10” x 13’10” (5.75mx4.22m) solid wood front door leading into an open plan living area, double glazed window overlooking the garden. Kitchen: open plan with peninsula division to living room, white units, electric oven, washing machine, fridge/freezer, tumble dryer, double glazed window overlooking the courtyard. Airing Cupboard: economy double immersion tank. 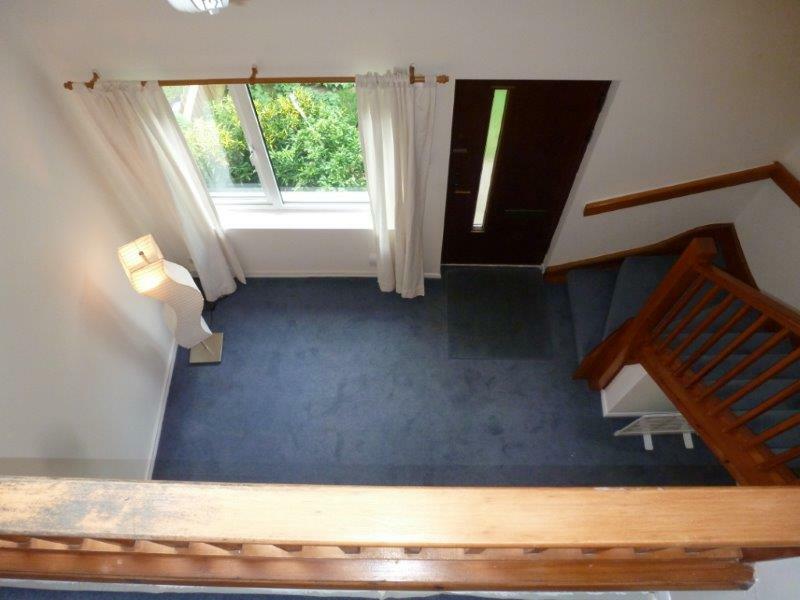 Stairs to First Floor: storage wardrobe, double glazed window. 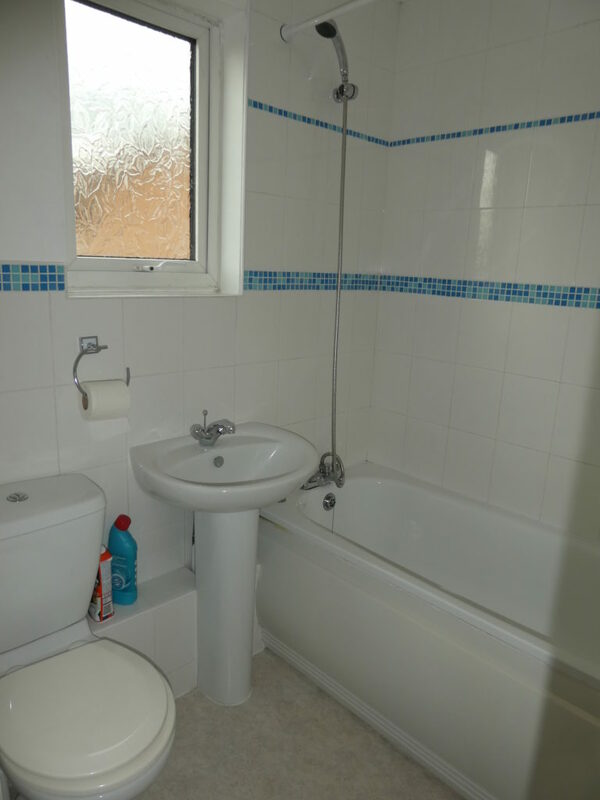 Bathroom: white suite comprises of lavatory, basin, bath with shower hose fitted to the mixer taps, bathroom cabinet, mirror and semi-opaque double glazed window. 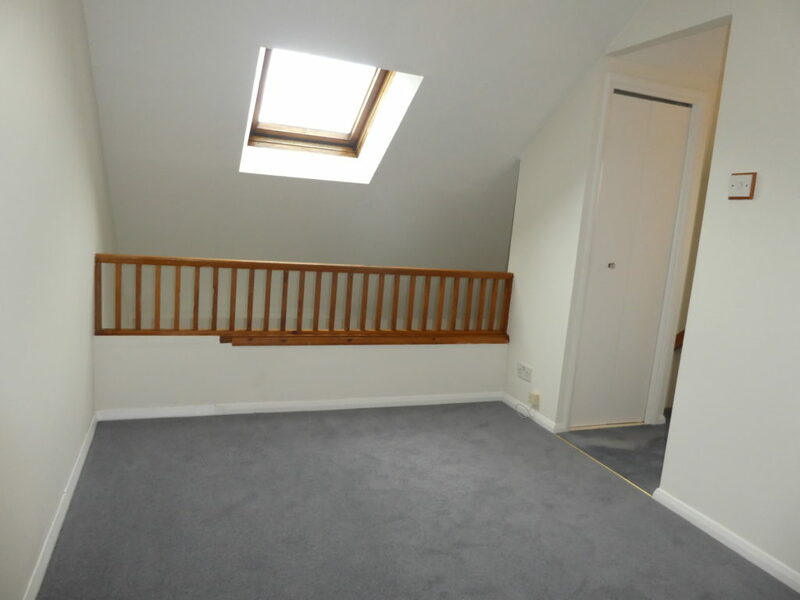 Bedroom: 10’11” x 8’2″ (3.33 x 2.5m) galleried double bedroom, balustrade overlooking living room. Timber framed double glazed Velux window. Front Garden: laid to lawn with flower beds. 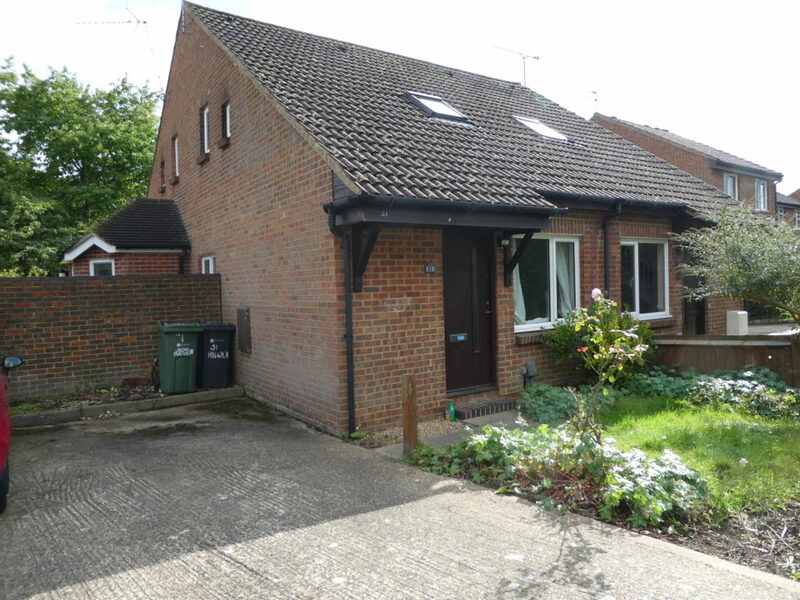 Courtyard: enclosed tall brick walls, timber fence adjoining neighbour, padlocked wooden gate. 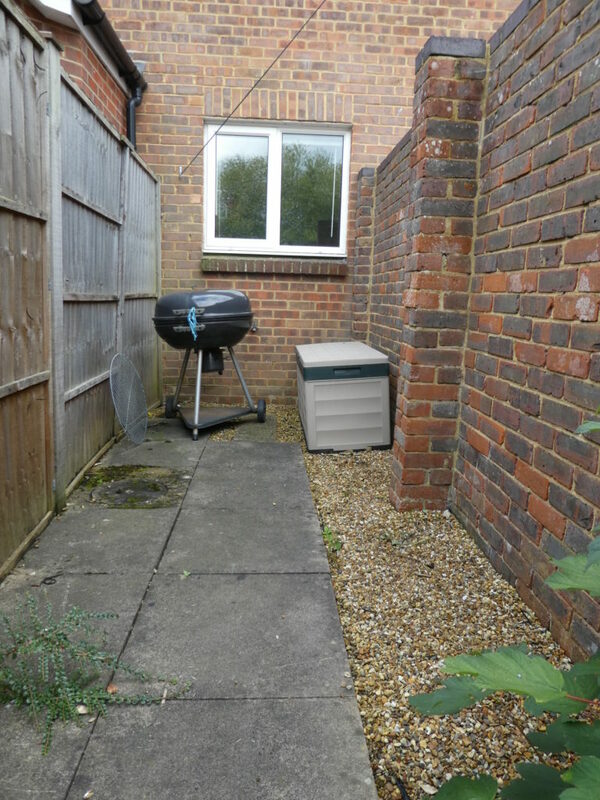 A One Bedroom Open Plan House with Parking and Garden in a Quiet Location.